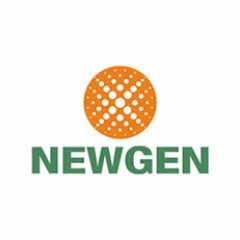 New Delhi : Newgen Software, a provider of Business Process Management (BPM), Enterprise Content Management (ECM) and Customer Communication Management (CCM) platforms, today announced the issuance of Patent Number 308375, entitled “A Method and System for Automatic Data Extraction” and Patent Number 305015, entitled “Automated Identification of Nature of a User in a network-Based System”. The invention titled A Method and System for Automatic Data Extraction (Patent No. 308375) empowers organizations to extract handwritten information from documents. This will help Financial institutions to easily verify signatures on a cheque image, facilitating a seamless chequeclearing cycle. The invention titled Automated Identification of Nature of a User in a Network Based System (Patent No. 305015) overcomes the existing challenges faced by current captcha systems. The technology enables organizations to automatically identify whether a user visiting their website is a robot or a human, with the help of a video captcha or an animated captcha.